Exterior waterproofing is true waterproofing - not only does it keep water out of your home, but it prevents water from even collecting around your foundation to begin with! Foundation Repair Services offers high quality exterior waterproofing systems manufactured by Earth Contact Products (ECP), the leading manufacturer in the industry for waterproofing products. Since water takes the path of the least resistant, it often will find its way through cracks in your foundation walls. 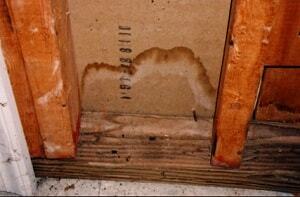 If you have a concrete foundation, moisture can be absorbed into it and evaporate into your basement. If you have high moisture levels in your basement, it can lead to serious issues such as discolored carpet, rusty metal, mold growth, wood rot, wet walls and slab, and settlement. If any of these signs are prevalent in your home, be sure to contact Foundation Repair Services right away. We offer exterior waterproofing for the residents in Muskogee, OK and the surrounding areas. The waterproofing membrane is applied by roller or spray and provides a long lasting barrier against water leaks. This waterproofing membrane combines the durability of asphalt with the elasticity of rubber. The dimple drainage board used by Foundation Repair Services are prefabricated and consist of a solid, formed, three dimensional core covered with a geo-textile filter fabric bonded to the dimple side of the core. 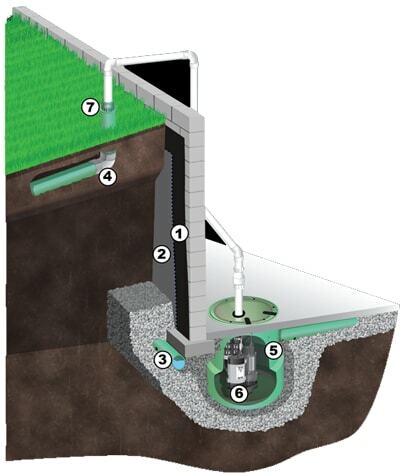 Foundation Repair Services has the experience and uses the best products for exterior waterproofing. Keep your investment safe from water damage. Call Foundation Repair Services today for all your exterior waterproofing needs in Muskogee, Oklahoma.